You need never be silent day or night ever again! Below you will find the Every Day Prayer Guide and Weekly Prayer Points based on CUFI’s current news, issues and world events related to Israel. Urgent Alerts are sent to members via email. May God bless you mightily as you take up His cause for His Kingdom. For the very latest Prayer Alerts and information, join our Facebook prayer group. For the power of God’s presence will manifest His Peace. For the Truth to expose the lies of the enemy that those who perpetrate the lies will be put to shame. 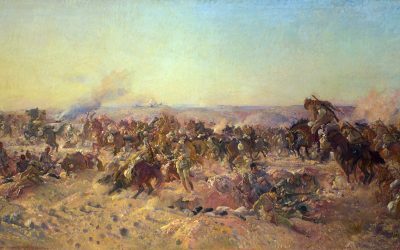 For the enemies of Israel to be brought down through confusion and discord against each other. Pray for the well-being and protection of the state of Israel and its people. For the government leaders in Israel. For the underprivileged groups in Israeli society. For the Israelis who make the Holy Land fruitful and the desert flourish. For BDS to be condemned and shut down. For the UN to unite FOR Israel or else be disbanded. That UNESCO and all UN division proposals or resolutions denying Israel’s history or existence will be denied, refuted, reversed. For Righteousness to exalt the Nations that stand with Israel. Pray for the Israel Defense Forces, intelligence and Police. For protection and courage and to know that God is with them. For Supernatural insight and intelligence into enemy strategy. For terror plots and would-be implementers to be thwarted. Pray for the development of CUFI – UK, for the staff and leadership. For successful campaigns in advocacy for Israel and against anti-Semitism. For the development of new projects and for openings into new areas including schools and universities. For God to touch the hearts of every Bible-believing Church Minister/Pastor and church member in the UK to understand their Biblical mandate to stand with Israel and the Jews. For protection for our Jewish communities, schools, etc. For our Government to make an uncompromised stand with Israel. For all MPs to be challenged and convicted of the Truth regarding the ‘Peace Conflict’ For local councils to deal effectively with anti-Semitism in their area. For all media outlets to be challenged and called to account for perpetrating anti-Semitic racial hatred through blatant dishonest, biased or selective reporting. 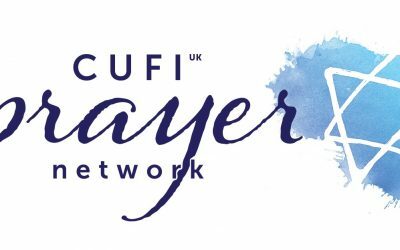 Pray the weekly prayer points produced by CUFI UK and any Prayer Alerts that are issued. God bless you as you pray.